Cakespy: Where did you get the idea to start Kingdom Cake? 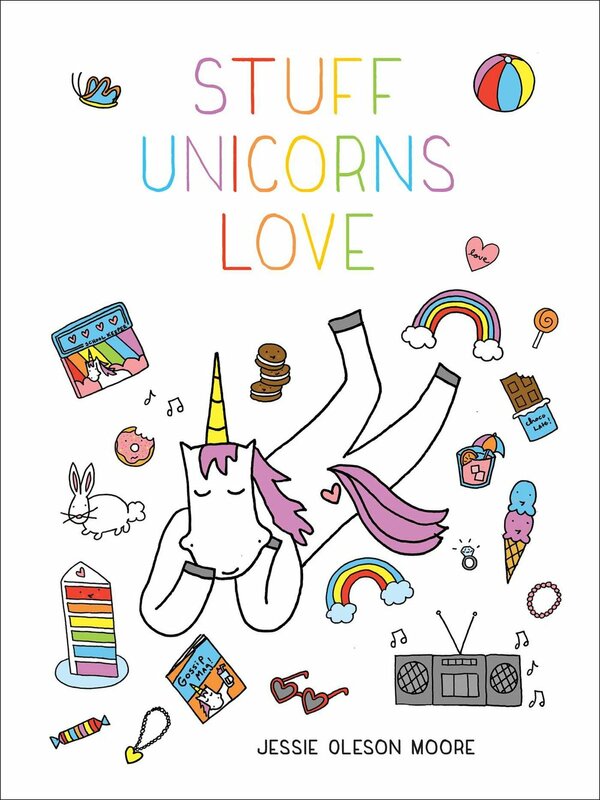 Chelsea Mead: The short answer is: everyone loves cupcakes. They sell themselves. I love watching how happy people get when cupcakes arrive to their occasion, or when they take their first bite. I am in the business of making people happy, and that makes me smile. It never gets old. The realization that I could start a business with cupcakes came after several requests for special orders from friends and coworkers. I started thinking of one fun flavor after another and it slowly became an addiction to perfect more and more recipes. I truly look at it as an art form. Designing new cupcakes makes my heart beat faster. I'd always rather be in the kitchen. CS: Be honest. If we order from Kingdom Cake, will our order be delivered by a knight in shining armor? CM: Hilarious! I would just love that...I think my customers would adore the dedication to the "Kingdom" theme! Until I can round up all my Knights and purchase a charming carriage with horses, I will be doing most deliveries myself (how boring after all that!). CS: What makes cupcakes so special to you? CM: How much time do you have? You see, I am into all things art. I am a woman with way too many hobbies. I love to paint and mosaic mostly. I have an art room overflowing with all sorts of unfinished projects. I am so busy moving on to the next thing it's hard to stop and finish a piece of work (especially when I'm juggling the cupcakes). 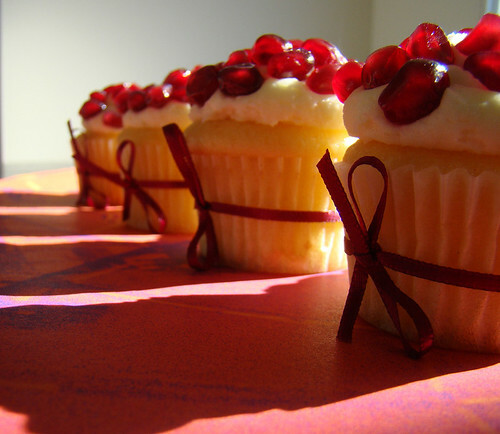 When I started baking, I approached each flavor and each cupcake as an art form. What can I do to make this cupcake look the most fabulous? 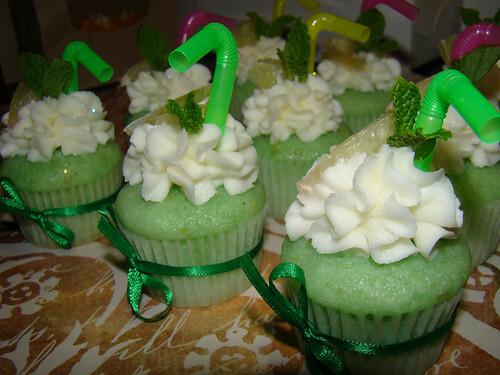 Making a cupcake look "cute" doesnt always do it for me, the design and placement of toppers really makes it right. Next comes the photo shoot. After the cupcakes are looking divine, then I get to use my fun Sony Cybershot and take really cool photos (my new favorite is a concept is cupcake shadows/silhouettes). Then to top it all off, I get to watch people completely indulge and go into their happy place when it's time to eat. It's the ultimate creative outlet. CS: We see that you have a flavor called "pancakes and bacon". Can you elaborate a bit about what makes up this cupcake? CM: The pancakes and bacon theme seems to be pretty popular nowadays so I am looking to redirect the concept of this cupcake. Currently the cupcake is a simple pancake base, with maple frosting, bacon toppers, and a salty maple filling. This is a great cupcake for breakfast (although all cupcakes are suitable for breakfast if you ask me). 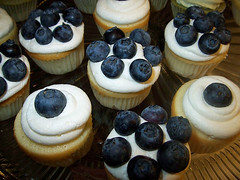 I am working on a french toast cupcake that I might combine with this, to make more of a "breakfast" theme. CS: We notice some savory options on your menu. 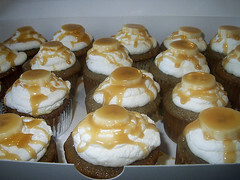 Do you see savory cupcakes as a new and thriving branch of the cupcake phenomenon? CM: Absolutely. In this cupcake-obsessed world we live in, we are constantly being challenged to do the next coolest thing. The natural progression has lead us to savory cupcakes. People in the business are aware of all of this, then I talk to some of my friends and they aren't even aware that cupcakes are taking over the world! I try mentioning ingredients to them like: bacon, basil, or chili and they say WTF? Keeping up with the trends is part of any business. I am lucky I'm in a business where this just makes it all more fun. CS: What is your favorite type of cake? CM: Currently it's a tie between Thai Tea and Basil Lemon Blueberry. Thai Tea frosting is like crack. CS: Which term do you use: Icing or frosting? CM: FROSTING, all the way. 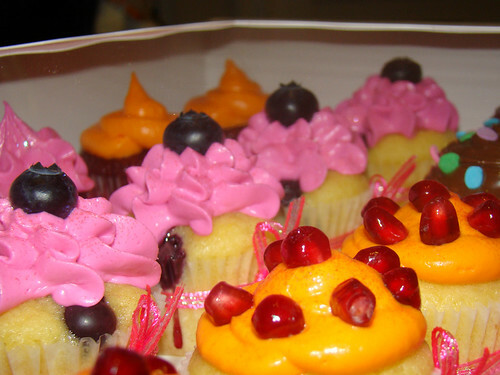 CS: Imagine this: you walk in on a loved eating a mass-produced prepackaged cupcake. What do you say to them? CM: "(SIGH) I am so disappointed." CS: What is next for Kingdom Cake? CM: My next business venture is vending at the local Bay Area Farmers Markets. Right now I am in the approval process, you should see me popping up slowly in the next month or so. The ultimate goal for Kingdom Cake this year is to open a storefront in the Bay Area. I am also looking into the Seattle Farmers Markets, however this will take a bit more time to work out. I lived in Seattle for 5 years and I look forward to branching out there. Want More? Visit Kingdomcake.com. 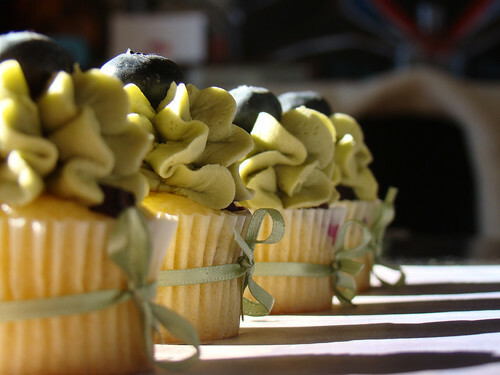 Even if you're not in the Bay Area though, you can enjoy their cupcakes via Flickr!